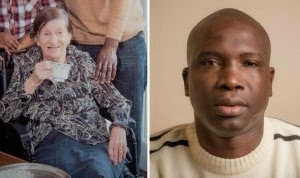 Carer Ousman Jatta, 45, married pensioner Beryl in the Gambia 13 years ago but moved to the UK with her when she became ill in 2006. 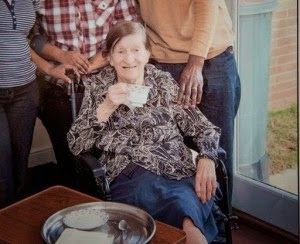 The devoted husband dropped her off at a care home in February for respite care while he took a well-deserved three-week break to his native Africa. But when he went to pick her up he was told social services had intervened and ruled his dementia-suffering wife couldn’t return home with him. Devastated Ousman has now threatened to go on a hunger strike if Bristol City Council don’t hand back his wife who he says has pleaded to return home. The authority said it has now agreed an “appropriate care plan” and while Mrs Jutta is still not home, her husband said he is confident the council will relent. “They have used their power against me to keep my wife in a nursing home against her and my wishes. I care for her better than anyone and I feel very sad. Every time I go to the Gambia I contact social services for respite, but they never told me they were going to keep my wife. To me Beryl is not old, she is a human being and no matter if she is old or young she is my wife. I would never neglect Beryl. I love Beryl. I’m feeling bad to see her in a nursing home whilst I am ready to look after my own wife. Retired shop worker Beryl moved to the Gambia more than 17 years ago and met Ousman when he helped translate for her in a local shop. The pair became firm friends and dated for four years before they got married in 2002. But they were forced to come back to the UK when she fell ill and doctors advised the mum-of-two would get better treatment at her home in Bristol. Ousman became her primary carer along with local authority carers who visit during the day while he is at work. He booked her in for respite care at Avon Lodge Care Centre in Bristol while he went on a break to the Gambia on February 5, telling him he would be back in three weeks. But when he called on February 27 to say he would pick her up the next day, he was told he couldn’t collect her and had to call social workers for more information. “I asked why and they said ‘contact social services’,” he said. “It was a weekend so I called social services on Monday morning and the only thing they told me was they thought I was tired and this and that and that I had left her. I have said in the past that I am tired and that some time in the future I might need to leave her, but I have never abandoned Beryl.